It's that time of year again when I really want to change my hair. I have always loved short crops - I think it looks so chic and effortless stylish. The shortest I have ever gone is a graduated at the back, short bob, cut for me at the fabulous Vidal Sassoon in London. 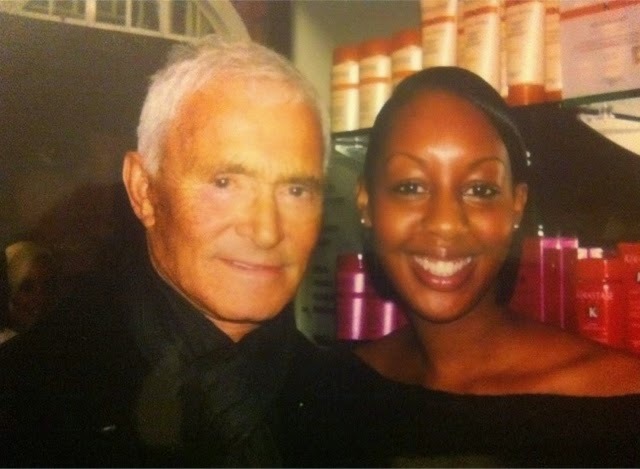 Vidal Sassoon (above) as most people will know, revolutionised hair care. He is described as probably the most famous hairstylist in history. His precision haircuts, in particular, his invention of the now iconic, sharp, geometric bob was a turning point in history for women's hair. I had that style for many years (above), always getting it cut at the fabulous, South Molton Street branch of Vidal Sassoon, but I have never gone shorter. There are so many variations of the same style around. 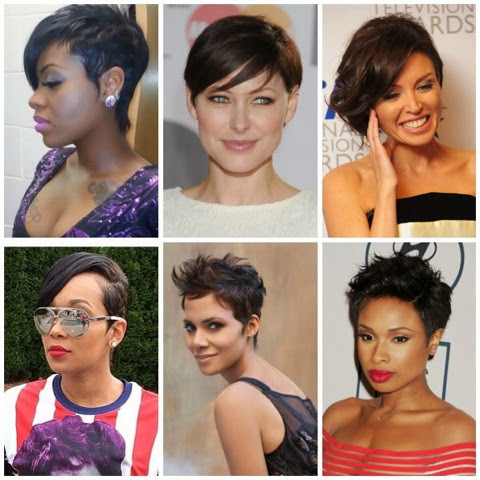 For me, I would still like to have a long sweeping side fringe and a little longer back, rather than a short, short crop as per Halle Berry and Jennifer Hudson. I think these crops just look amazing. Whenever I see someone with this style, my heart pings a bit...am I brave enough to go for the chop? Will it suit me? It's funny, but when you have a certain hairstyle, you find that your wardrobe also needs to be adapted. I have heard many people say that when they have cut their hair short, the clothes that they used to wear no longer looked 'right' or vice versa. When I had a bob, for example, I used to live in 'Breton' style stripes, jeans and blazers on casual days but I feel that I can't really carry that look off with longer hair...it's funny isn't it...I hardly ever wear blazers now. Kelly Osborne has gone for the shaved side look with sweeping side fringe. Michelle Williams longer more softer version...I like this style. A model sporting this classic cut - stunning! Perhaps, I will go for the chop around my birthday time in November...we'll see if I'm brave enough! Until then, I'll just keep admiring this look from afar! Have you gone for the chop recently? Let me know what you think of this style.